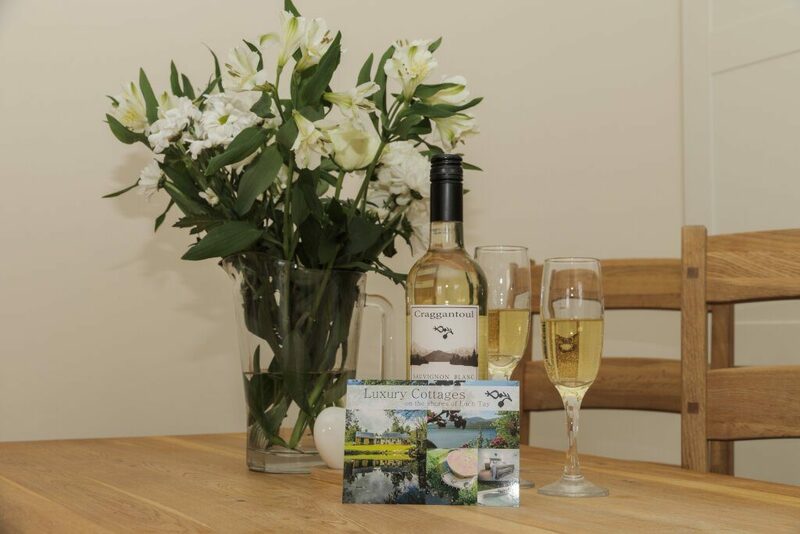 Sam’s Cottage is located within the grounds of a 40 acre Highland estate called Craggantoul with rolling meadows, orchards, duck pond, ancient oak forest with winding trails down to Loch Tay, where we have fishing rights for trout. 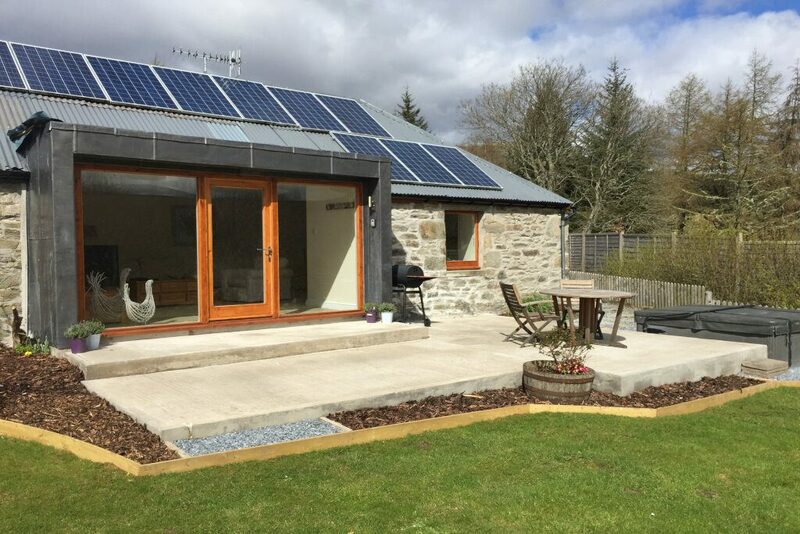 Sam’s is a lovingly refurbished farm steading dating back to the 1800s, combining the olden day crofting charm of the exterior with modern day comfort and luxury inside. 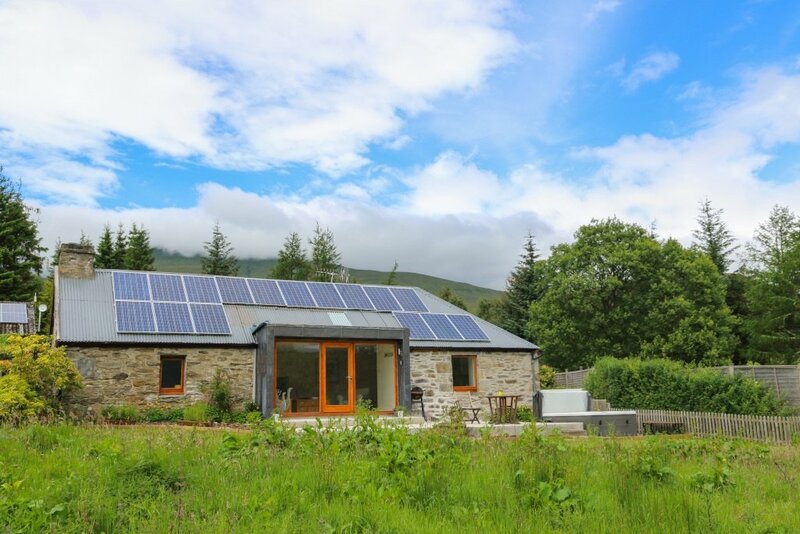 Sleeping two people very comfortably, the cottage offers spectacular views over the surrounding meadows and over Loch Tay. 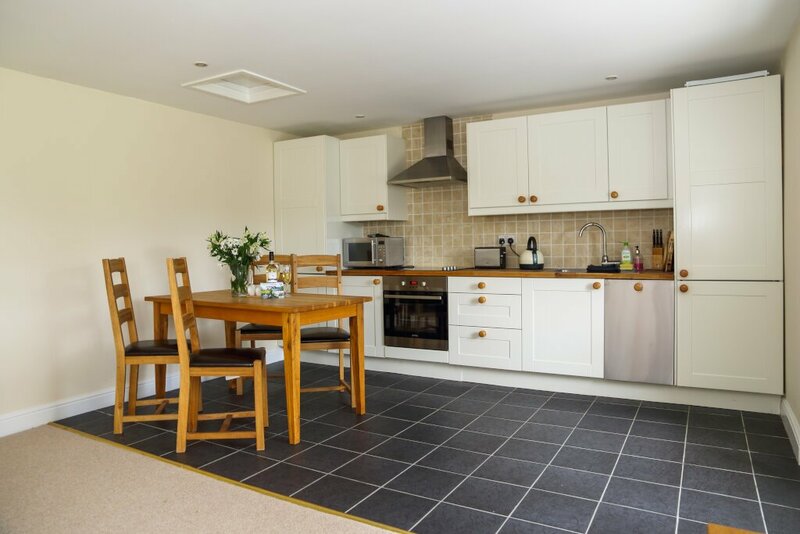 The cottage is furnished luxuriously and has a modern kitchen with everything you need on a self catering break. 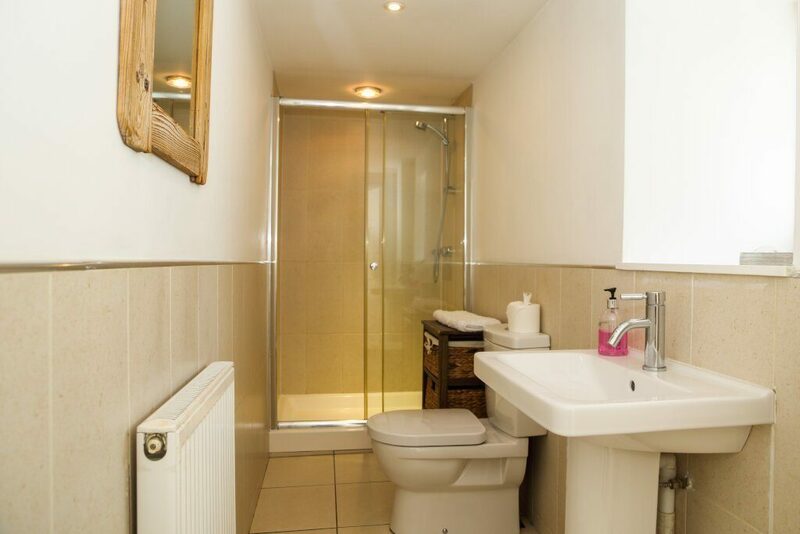 The bathroom is equipped with a spacious walk in power shower to revive our guests after a day on the mountains! 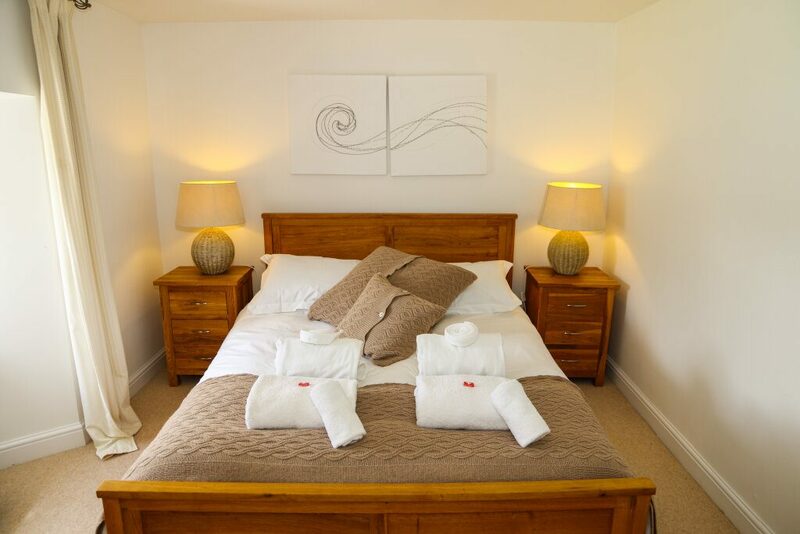 Books, DVDs, TVs in the living room and bedroom, plus wifi are there for guests to use. 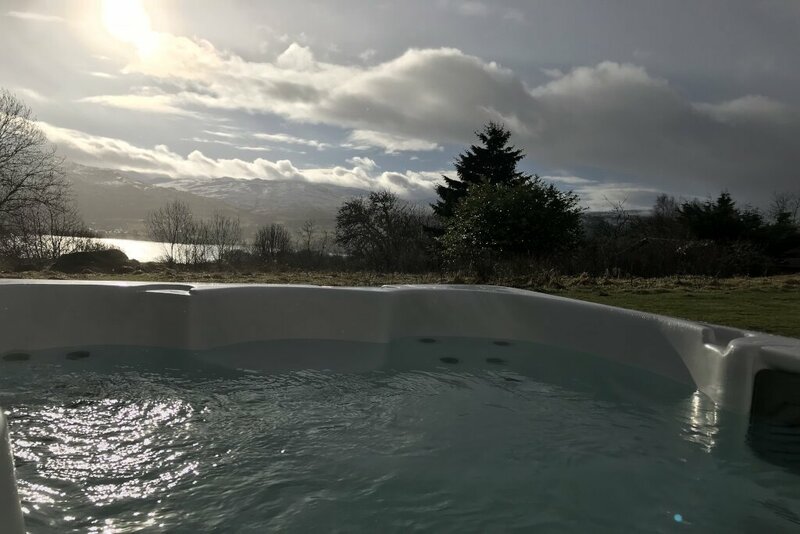 Outside Sam’s Cottage is a bubbling hot tub for two, the perfect place to enjoy the magical views over the Loch Tay scenery. 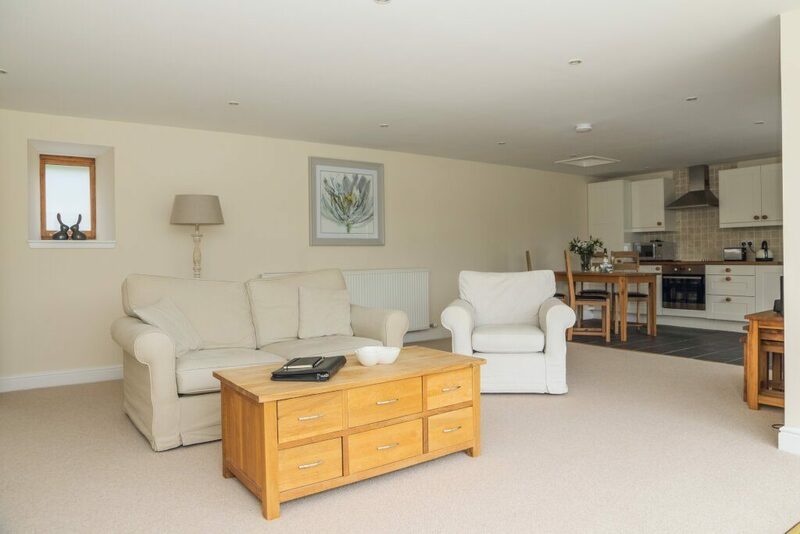 There is also a BBQ and garden furniture outside the cottage. 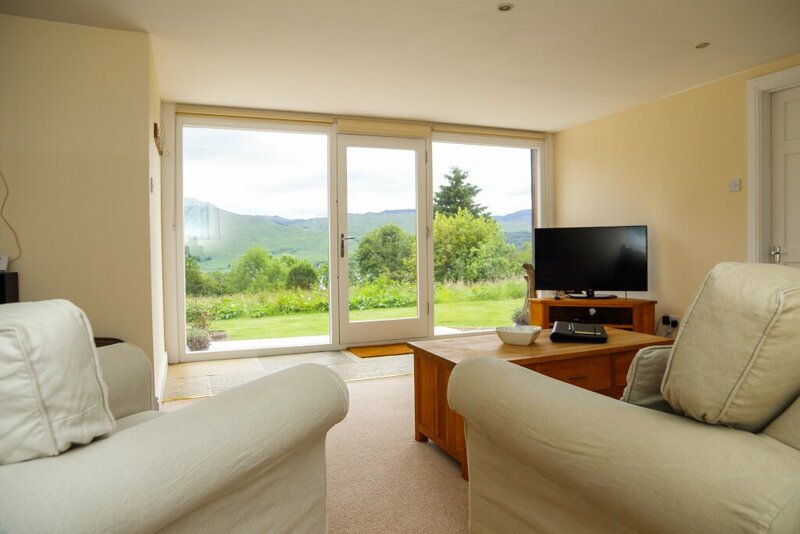 Located on the shores of Loch Tay Sams Cottage is well placed to explore all the landmarks of Loch Tay and beyond.